Mr. Noonan has thirty six years experience in the field of intellectual property law, which includes patents, trademarks and copyrights and trade secrets. 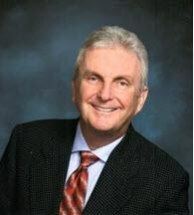 His office was established at its present location on College Parkway in south Fort Myers in 1988. Mr. Noonan assists inventors, entrepreneurs, small business and corporations to legally protect their ideas, inventions, brands and creations. Mr. Noonan received his Bachelor of Science degree in Physics from Stonehill College in Massachusetts and is a graduate of Boston College Law School. He is registered to practice before the United States Patent and Trademark Office and is licensed to practice in the state of Florida.